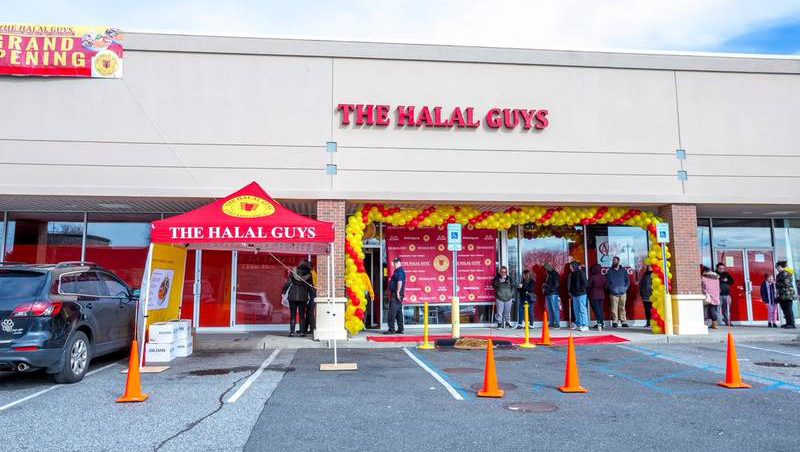 GARDEN CITY, NY (February 27, 2018) – Breslin Realty is proud to announce the Grand Opening of The Halal Guys this Saturday, March 3rd at 10:30am, at 901 Broadhollow Rd, Farmingdale NY. The Halal Guys is occupying 1,500 square feet in the Republic Plaza shopping center. This is their first Long Island location. The Halal Guys is a fast casual restaurant that began as a food cart in New York City in 1990, and has since expanded to almost 50 locations throughout the United States, Canada, and Asia. They serve halal and Middle-Eastern sandwiches & platters such as gyros, chicken, and falafel. Additional Republic Plaza retail includes Walmart, Chili’s Grill & Bar, Panera Bread, Chipotle Mexican Grill, Houlihan’s, and Bank of America. There is currently 2,500 square feet still available at Republic Plaza. For further leasing inquiries at Republic Plaza, please contact Robert Delavale at (516) 741-7400 ext. 230.